You’ve heard the complaints many times before: IT costs too much. I have no idea what I’m paying for. I can’t accurately budget for IT costs. I can do better getting IT services myself. The problem is that end-user departments and organizations can sometimes see IT operations as just a black box. In recent years, IT chargeback systems have attracted more interest as a way to address all those concerns and rising energy use and costs. In fact, IT chargeback can be a cornerstone of practical, enterprise-wide efficiency efforts. IT chargeback is a method of charging internal consumers (e.g., departments, functional units) for the IT services they used. Instead of bundling all IT costs under the IT department, a chargeback program allocates the various costs of delivering IT (e.g., services, hardware, software, maintenance) to the business units that consume them. Many organizations already use some form of IT chargeback, but many don’t, instead treating IT as corporate overhead. Resistance to IT chargeback often comes from the perception that it requires too much effort. It’s true that time, administrative cost, and organizational maturity is needed to implement chargeback. However, the increased adoption of private and public cloud computing is causing organizations to re-evaluate and reconsider IT chargeback methods. Cloud computing has led some enterprises to ask their IT organizations to explain their internal costs. Cloud options can shave a substantial amount from IT budgets, which pressures IT organizations to improve cost modeling to either fend off or justify a cloud transition. In some cases, IT is now viewed as more of a commodity—with market competition. In these circumstances, accountability and efficiency improvements can bring significant cost savings that make chargeback a more attractive path. All costs are centralized in traditional IT accounting. One central department pays for all IT equipment and activities, typically out of the CTO or CIO’s budget, and these costs are treated as corporate overhead shared evenly by multiple departments. In an IT chargeback accounting model, individual cost centers are charged for their IT service based on use and activity. As a result, all IT costs are “zeroed out” because they have all been assigned to user groups. IT is no longer considered overhead, instead it can be viewed as part of each department’s business and operating expenses (OpEx). • Increased transparency due to accurate allocation of IT costs and usage. Chargeback allows consumers to see their costs and understand how those costs are determined. • Improved IT financial management, as groups become more aware of the cost of their IT usage and business choices. With chargeback, consumers become more interested and invested in the costs of delivering IT as a service. • Increased awareness of how IT contributes to the business of the organization. IT is not just overhead but is seen as providing real business value. • Responsibility for controlling IT costs shifts to business units, which become accountable for their own use. • Alignment of IT operations and expenditures with the business. IT is no longer just an island of overhead costs but becomes integrated into business planning, strategy, and operations. The benefits of an IT chargeback model included simplified IT investment decision making, reduced resource consumption, improved relationships between business units and IT, and greater perception of IT value. Holding departments accountable leads them to modify their behaviors and improve efficiency. For example, chargeback tends to reduce overall resource consumption as business units stop hoarding surplus servers or other resources to avoid the cost of maintaining these underutilized assets. At the same time, organizations experience increased internal customer satisfaction as IT and the business units become more closely aligned and begin working together to analyze and improve efficiency. Perhaps most importantly, IT chargeback drives cost control. As users become aware of the direct costs of their activities, they become more willing to improve their utilization, optimize their software and activities, and analyze cost data to make better spending decisions. This can extend the life of existing resources and infrastructure, defer resource upgrades, and identify underutilized resources that can be deployed more efficiently. Just as we have seen in organizations that adopt a server decommissioning program (such as the successful initiatives of Uptime Institute’s Server Roundup) (https://uptimeinstitute.com/training-events/server-roundup), IT chargeback identifies underutilized assets that can be reassigned or decommissioned. As a result, more space and power becomes available to other equipment and services, thus extending the life of existing infrastructure. An organization doesn’t have to build new infrastructure if it can get more from current equipment and systems. IT chargeback also allows organizations to make fully informed decisions about outsourcing. Chargeback provides useful metrics that can be compared against cloud providers and other outsource IT options. As IT organizations are being driven to emulate cloud provider services, a chargeback applies free-market principles to IT (with appropriate governance and controls). The IT group becomes more akin to a service provider, tracking and reporting the same metrics on a more apples-to-apples basis. Showback is closely related to chargeback and offers many of the same advantages without some of the drawbacks. This strategy employs the same approach as chargeback, with tracking and cost-center allocation of IT expenses. Showback measures and displays the IT cost breakdown by consumer unit just as chargeback does, but without actually transferring costs back. Costs remain in the IT group, but information is still transparent about consumer utilization. Showback can be easy to implement since there is no immediate budgetary impact on user groups. The premise behind showback and chargeback is the same: awareness drives accountability. However, since business units know they will not be charged in a showback system, their attention to efficiency and improving utilization may not be as focused. Many organizations have found that starting with a showback approach for an initial 3-6 months is an effective way to introduce chargeback, testing the methodology and metrics and allowing consumer groups to get used to the approach before full implementation of chargeback accountability. • Consumers: Business units that consume IT resources, e.g., organizational entities, departments, applications, and end users. • Internal service providers: Groups responsible for providing IT services, e.g., data center teams, network teams, and storage. • Project sponsor: The group funding the effort and ultimately responsible for its success. Often this is someone under the CTO or can also be a finance/accounting leader. • Executive team: The C-suite individuals responsible for setting chargeback as an organizational priority and ensuring enterprise-wide participation to bring it to fruition. • Administrator: The group responsible for operating the chargeback program (e.g., IT finance and accounting). A range of approaches have been developed for implementing chargeback in an organization, as summarized in Figure 1. The degree of complexity, degree of difficulty, and cost to implement decreases from the top of the chart [service-based pricing (SBP)], to the bottom [high-level allocation (HLA)]. HLA is the simplest method; it uses a straight division of IT costs based on a generic metric such as headcount. Slightly more effort to implement is low-level allocation (LLA), which bases consumer costs on something more related to IT activity such as the number of users or servers. Direct cost (DC) more closely resembles a time and materials charge but is often tied to headcount as well. Figure 1. Methods for chargeback allocation. Measured resource usage (MRU) focuses on the amount of actual resource usage of each department, using metrics such as power (in kilowatts), network bandwidth and terabytes of storage. 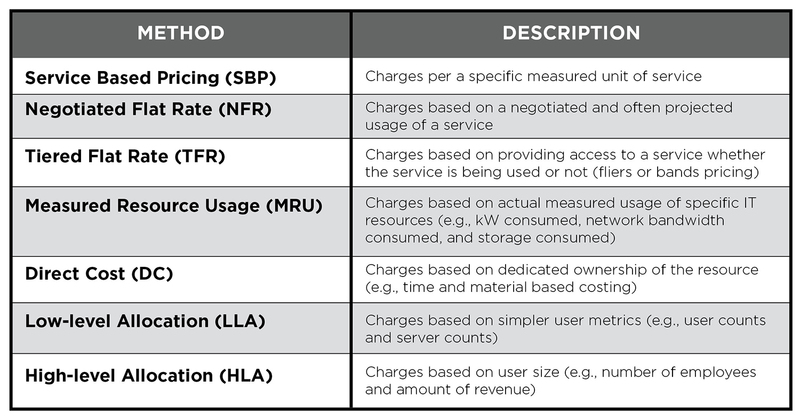 Tiered flat rate (TFR), negotiated flat rate (NFR), and service based pricing (SBP) are all increasingly sophisticated applications of measuring actual usage by service. Measured resource usage (MRU) is often the sweet spot for chargeback implementation. It makes use of readily available data that are likely already known or collected. For example, data center teams typically measure power consumption at the server level, and storage groups know how many terabytes are being used by different users/departments. MRU is a straight allocation of IT costs, thus it is fairly intuitive for consumer organizations to accept. It is not quite as simple as other methods to implement but does provide fairness and is easily controllable. If an organization is to successfully implement chargeback, it must choose the method that best fits its objectives and apply the method with rigor and consistency. Executive buy-in is critical. Without top-down leadership, chargeback initiatives often fail to take hold. It is human nature to resist accountability and extra effort, so leadership is needed to ensure that chargeback becomes an integral part of the business operations. The first three items (FTE/payroll, utilities, and critical facility maintenance) typically make up the largest portion of these costs. For example, utilities can account for a significant portion of the IT budget. If IT is operated in a colocation environment, the biggest costs could be lease expenses. The charges from a colocation provider typically will include all the other costs, often negotiated. For enterprise-owned data centers, all these OpEx categories can fluctuate monthly depending on activities, seasonality, maintenance schedules, etc. Organizations can still budget and plan for OpEx effectively, but it takes an awareness of fluctuations and expense patterns. At a fundamental level, the goal is to identify resource consumption by consumer, for example the actual kilowatts per department. More sophisticated resource metrics might include the cost of hardware installation (moves, adds, changes) or the cost per maintenance ticket. For example, in the healthcare industry, applications for managing patient medical data are typically large and energy intensive. If 50% of a facility’s servers are used for managing patient medical data, the company could determine the kilowatt per server and multiply total OpEx by the percentage of total IT critical power used for this activity as a way to allocate costs. If 50% of its servers are only using 30% of the total IT critical load, then it could use 30% to determine the allocation of data center operating costs. The closer the data can get to representing actual IT usage, the better. An organization that can compile this type of data for about 95% of its IT costs will usually find it sufficient for implementing a very effective chargeback program. It isn’t necessary for every dollar to be accounted for. Expense allocations will be closely proportional based on actual consumption of kilowatts and/or bandwidth consumed and reserved by each user organization. Excess resources typically are absorbed proportionally by all. Even IT staff costs can be allocated by tracking and charging their activity to different customers using timesheets or by headcount where staff is dedicated to specific customers. Another step in preparing an organization to adopt an IT chargeback methodology is defining service levels. What’s key is setting expectations appropriately so that end users, just like customers, know what they are getting for what they are paying. Defining uptime (e.g., Tier level such as Tier III Concurrent Maintainability or Tier IV Fault Tolerant infrastructure or other uptime and/or downtime requirements, if any), and outlining a detailed service catalog are important. Essentially, achieving efficient IT outcomes demands a “follow the money” mindset. IT chargeback drives a holistic approach in which optimizing data center and IT resource consumption becomes the norm. A chargeback model also helps to propel organizational maturity, as it drives the need for more automation and integrated monitoring, for example the use of a DCIM system. To collect data and track resources and key performance indicators manually is too tedious and time consuming, so stakeholders have an incentive to improve automated tracking, which ultimately improves overall business performance and effectiveness. IT chargeback is more than just an accounting methodology; it helps drive the process of optimizing business operations and efficiency, improving competitiveness and adding real value to support the enterprise mission. 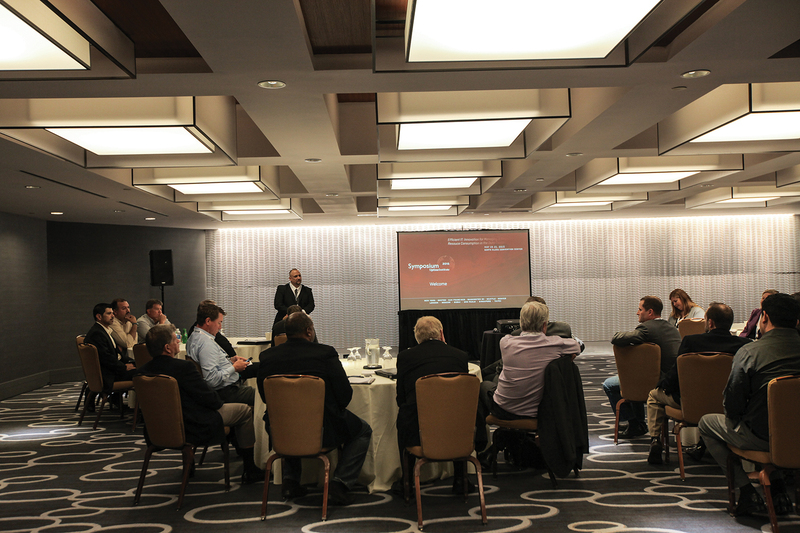 19 May 2015, Uptime Institute gathered a group of senior stakeholders for the Executive Assembly for Efficient IT. The group was composed of leaders from large financial, healthcare, retail and Web-scale IT organizations and the purpose of the meeting was to share experiences, success stories and challenges to improving IT efficiency. At Uptime Institute’s 2015 Symposium, executives from leading data center organizations that have implemented IT chargeback discussed the positive results they had achieved. They also shared the following recommendations for companies considering adopting an IT chargeback methodology. • Partner with the Finance department. Finance has to completely buy in to implementing chargeback. • Inventory assets and determine who is using them. A complete inventory of the number of data centers, number of servers, etc., is needed to develop a clear picture of what is being used. • Chargeback needs strong senior-level support; it will not succeed as a bottom-up initiative. Similarly don’t try to implement it from the field. Insist that C-suite representatives (COO/CFO) visit the data center so the C-suite understands the concept and requirements. • Focus on cash management as the goal, not finance issues (e.g., depreciation) or IT equipment (e.g., server models and UPS equipment specifications). Know the audience, and get everyone on the same page talking about straight dollars and cents. • Don’t give teams too much budget—ratchet it down. Make departments have to make trade-offs so they begin to make smarter decisions. • Build a dedicated team to develop the chargeback model. Then show people the steps and help them understand the decision process. • Data is critical: show all the data, including data from the configuration management data base (CMDB), in monthly discussions. • Above all, communicate. People will need time to get used to the idea. • Don’t try to drive chargeback from the bottom up. • Simpler is better: don’t overcomplicate the model. Simplify the rules and prioritize; don’t get hung up perfecting every detail because it doesn’t save much money. Approximations can be sufficient. • Don’t move too quickly: start with showback. Test it out first; then, move to chargeback. • To get a real return, get rid of the old hardware. Move quickly to remove old hardware when new items are purchased. The efficiency gains are worth it. • The most challenging roadblocks can turn out to be the business units themselves. Organizational changes might need to go the second level within the business unit if it has functions and layers under them that should be separate. 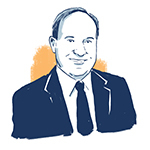 Scott Killian joined the Uptime Institute in 2014 and currently serves as VP for Efficient IT Program. He surveys the industry for current practices and develops new products to facilitate industry adoption of best practices. Mr. Killian directly delivers consulting at the site management, reporting, and governance levels. He is based in Virginia. Prior to joining Uptime Institute, Mr. Killian led AOL’s holistic resource consumption initiative, which resulted in AOL winning two Uptime Institute Server Roundups for decommissioning more than 18,000 servers and reducing operating expenses more than US$6 million. In addition, AOL received three awards in the Green Enterprise IT (GEIT) program. AOL accomplished all this in the context of a five-year plan developed by Mr. Killian to optimize data center resources, which saved US$17 million annually.